ISLAMABAD — The United Nations said civilian casualties from the conflict in Afghanistan have increased dramatically this year. 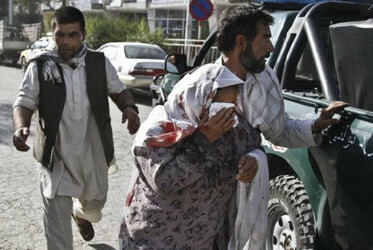 News of the figures came as 14 people were killed by a Taliban suicide bomber Tuesday near Afghanistan's Supreme Court. The increasing number of civilians killed could impact Afghanistan national elections next year and its transition to security independence as international combat forces leave next year. 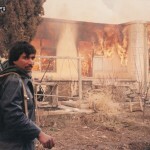 Civilians are bearing the brunt of the violence in Afghanistan. According to a U.N. report released Tuesday, more than 3,000 civilians have been killed and wounded in the first five months of this year. A fifth of those were children. The head of the U.N. Assistance Mission to Afghanistan, Jan Kubis, said the situation in the country has worsened, with civilian casualties up 24 percent compared to the same period last year. He said insurgent attacks are responsible for three quarters of those casualties, and targeting civilians is unacceptable. Kubis said the rate of civilians dying from insurgent-led "complex attacks" involving bombs, rockets, and other weapons has gone up 800 percent compared to two years ago. Analyst Omar Sharifi of the Kabul-based American Institute of Afghanistan Studies said the Taliban and other anti-government forces are using violence to try to position themselves for next year’s national elections and political transition. According to a U.N. report released Tuesday, more than 3,000 civilians have been killed and wounded in the first five months of this year. A fifth of those were children. Kubis also voiced concern about insurgent assaults against medical and humanitarian personnel, demanding they be respected and protected at all times. The UNAMA chief said the mission had reached out to the Taliban insurgency on how to reduce civilian casualties, and had “received signals” the militants were willing to talk. Afghan security forces are taking on the lead for all security operations as the NATO-led international combat troops continue their withdrawal by the end of 2014. The security situation is to be one of the main discussion points at the U.N. Security Council meeting on Afghanistan scheduled for June 20.